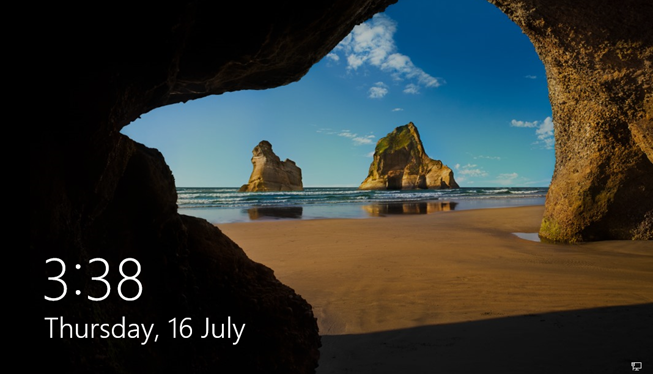 When first booting a Windows 10 PC, the lock screen appears. Likewise, when remaining idle for some time, the Windows 10 PC will automatically lock. After pressing Ctrl + Alt + Del, the login screen will appear. Windows 10 appears to display the lock screen after 15 minutes of inactivity if the Local Group Policy Editor has set the machine inactivity limit to 900 seconds. Right-click on the Microsoft.LockApp_cw5n1h2txyewy and rename the folder to Microsoft.LockApp_cw5n1h2txyewy.bak. 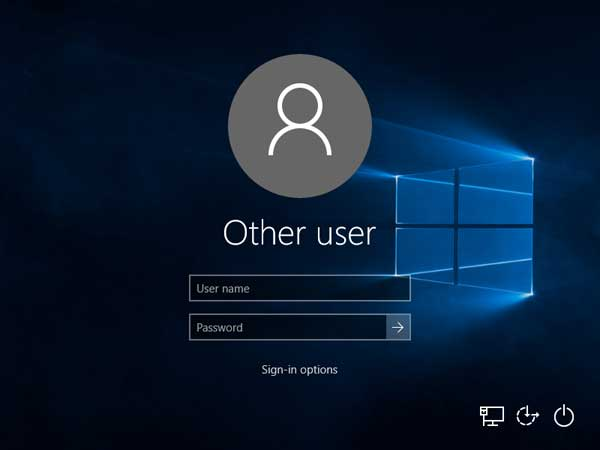 Now, when the PC timeouts due to inactivity, instead of the lock screen appearing, the login screen appears. However, you will still need to press Ctrl + Alt + Del to get the menus to appear on the login screen. 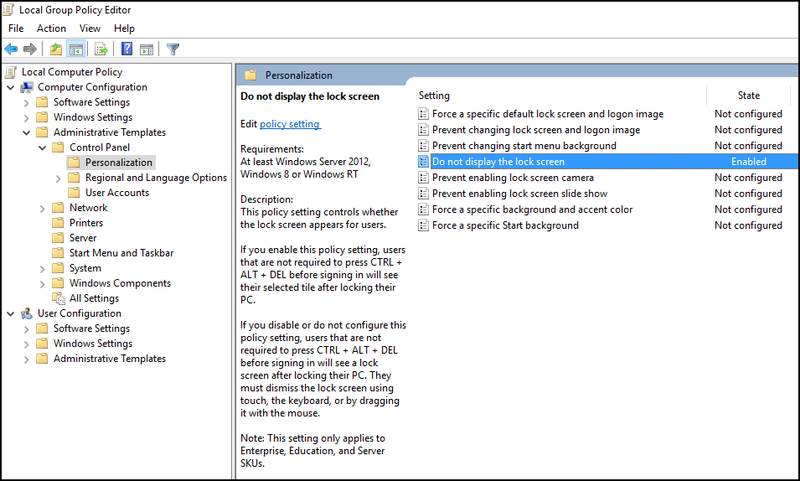 The following options will all fail to disable the lock screen, as the 900 second policy takes priority. Configuring the PC to never Turn off the display and to Never put the computer to sleep will fail. The PC will still lock after 15 minutes of inactivity. Set Turn off the display and Put the computer to sleep to Never. 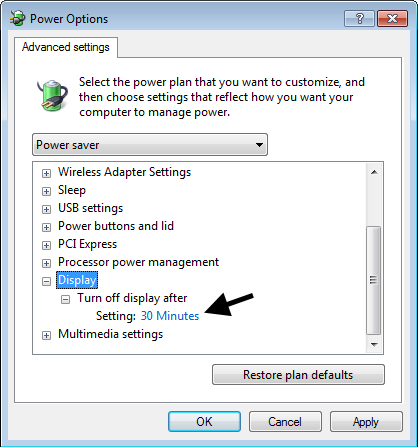 Extending the Turn off display after setting fails to extend the timeout beyond 15 minutes. Expand Display > Console lock display off timeout, and set the number of minutes to elapse before the timeout occurs. In this example, the timeout is set to 30 minutes. Enabling Do not display the lock screen will fail to disable the lock. Near the Windows Start icon, in search, type gpedit.msc and select gpedit. 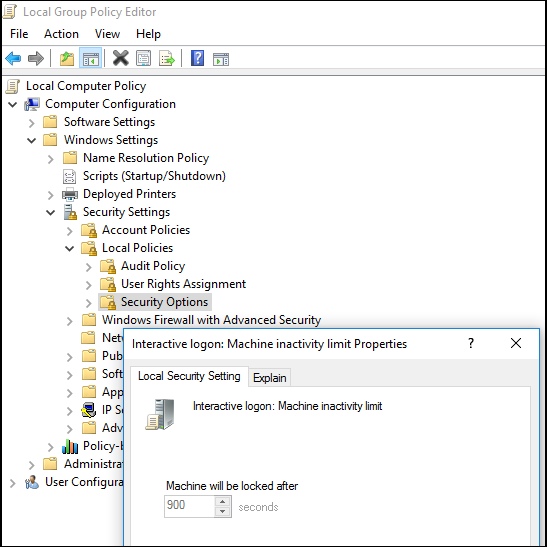 In the Local Group Policy Editor, expand Computer Configuration, expand Administrative Templates, and select the Personalization folder. Double-click Do not display the lock screen. Tick Enabled, and select OK.
By default, Power Options will not have the System unattended sleep timeout option. 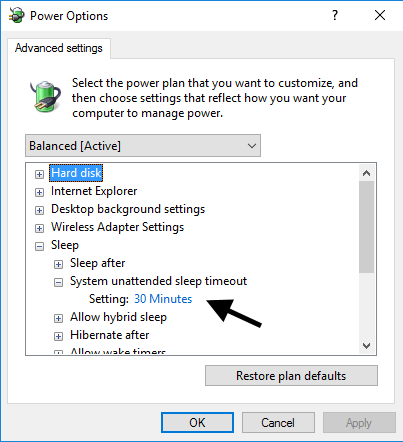 Do the followint to add the System unattended sleep timeout option. Sign into the PC as Admin. Type regedit in search and select regedit. Double-click on the Attribute key. The System unattended sleep timeout option will now be displayed, and the Setting can be increased. 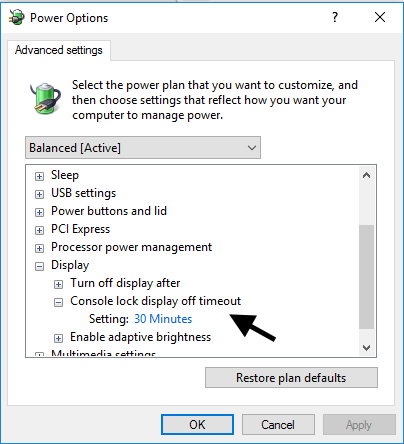 By default, Power Options will not have the Console lock display off timeout​ option. Do the followint to add the Console lock display off timeout​ option. The Console lock display off timeout​ option will now be displayed, and the Setting can be increased.